How Will Having a Short Marriage Affect Your Divorce? On August 20, Danielle Staub, star of “Real Housewives of New Jersey,” and her husband of three months, Marty Caffrey, dropped restraining orders they filed against each other about a week prior. Staub first filed an order for protection over an incident at her home earlier this month, and Caffrey filed his own order the day after Staub filed hers. News sources are reporting that divorce is still imminent for the short-lived couple, so let’s look at how restraining orders can affect divorce proceedings, as well as how very short marriages are handled in divorce court. In New Jersey, an order for protection offers protection from family members, including spouses, who have threatened or assaulted you. In Ms. Staub’s order for protection, she alleged that Caffrey disengaged their garage door and hid photos of her daughters from her. She also claimed Caffrey was “attempting to tarnish her reputation and career by making repeated false reports to the media.” In his order, Caffrey claimed Staub had threatened physical violence multiple times throughout their relationship. While orders for protection do not directly affect divorce or change divorce proceedings, they may be used as evidence against you or your spouse. For example, if a wife obtained a restraining order against her husband because he was abusing her in front of their children, this will likely be a factor in determining child custody and visitation. Protective orders can also affect the division of property during divorce. An abusive spouse may be prohibited from entering the home of the abuse victim, and judges have the authority to temporarily order that only the victim has access to and control over the family house. For a marriage that only lasts a very short time, there isn’t much opportunity to accumulate joint property, have children, or contribute large amounts of money into joint accounts—but it does happen. 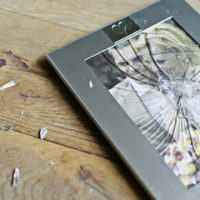 That said, New Jersey courts consider the length of the marriage when determining alimony and property division. With a short-term marriage, courts are less likely to make a disproportionate award of jointly-owned property and more likely to order an equal distribution of jointly-owned assets. Also, in the case of a short-term marriage, alimony is much less likely to be awarded. If you are facing divorce and you live in the Union, New Jersey area, please contact the Law Offices of John B. D’Alessandro, LLC to schedule a consultation with an experienced family law attorney. Divorce is dramatic, even for those of us who aren’t living our lives in the public eye. Obtaining sound legal advice is the first step to easing your mind and protecting your rights and interests.